The stated aim of the Green-left is the destruction of Australia’s reliable and affordable electricity supply. It’s dressed up as a burning hatred of evil fossil fuels, but in reality, it’s just naked contempt for their fellow Australians. Summertime temperatures weren’t the only thing that rose – there’s a palpable sense of fury among the proletariat, not least because they’ve been played for fools by those responsible for the mess. Lily D’Ambrosio heads up Victoria’s Climate Cult and the Department for Destroying Reliable and Affordable Energy. On Friday 25 January, Lily – apparently channelling King Canute – assured her constituents that there would be no blackouts that day. By 2:30pm more than 200,000 households were powerless and left sweltering without air conditioners on a day when the mercury was pushing 45°C, along with dozens of major energy users forced to shut down their operations – all victims of Soviet-era power rationing – aka “demand management”. There followed a healthy blend of acrimony and recriminations. Lunatics like Lily divided their time blaming coal-fired power and each other. 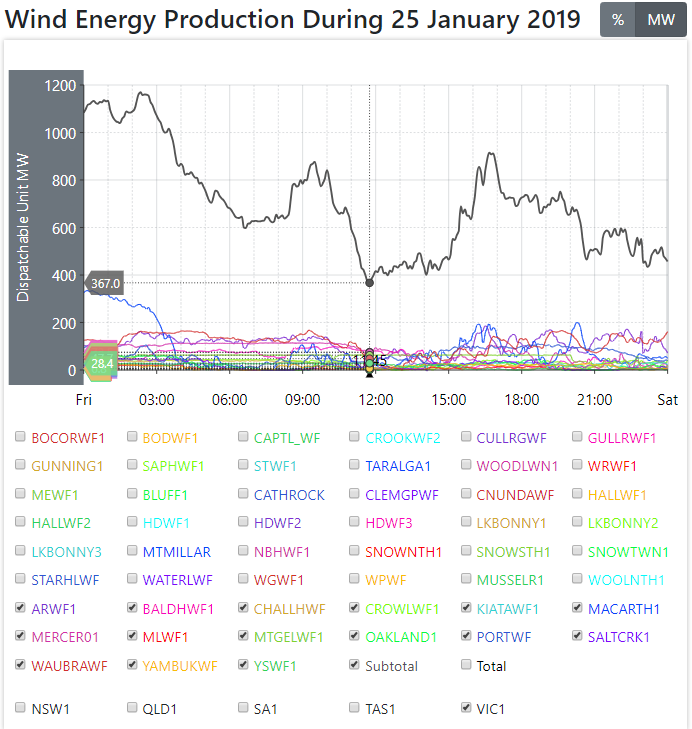 As to the former, there was a 7% reduction of available coal-fired capacity across the Eastern Grid; compared to an 80% reduction of its 1,740 MW of available wind power capacity in Victoria – adding between 20-25% of that capacity when Victorians needed it most between noon and 3pm. But not a peep from Lily & Co about that dramatic collapse. Apparently, it’s only certain kinds of failures that rate a mention. 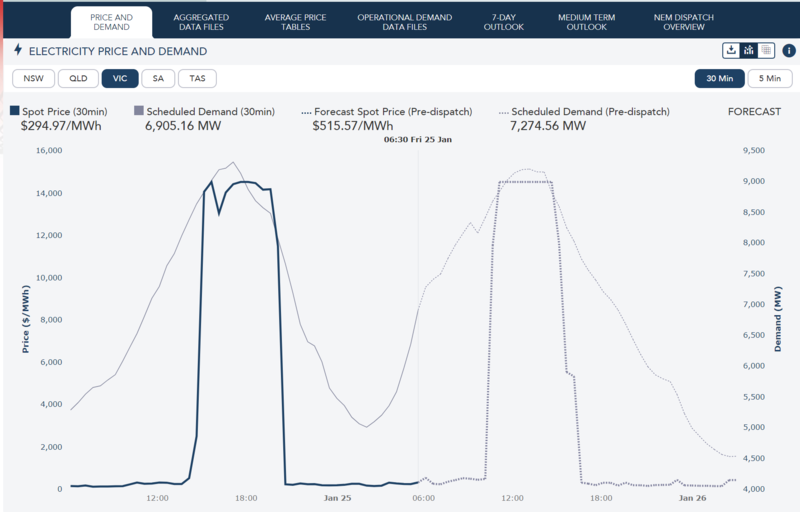 Power prices went through the roof, as the owners of peaking-plant (OCGTs and diesel generators) cashed in on the RE chaos and pocketed more than $14,000 per MWh for what can be profitably delivered 24/7 by coal-fired plant, for less than $50. And if Australians think that this is the limit of the calamity, think again. 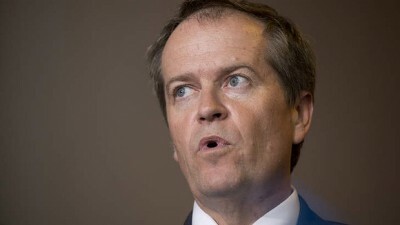 Bill Shorten is the bookies’ favourite to take Federal government in May; and, if he does, what occurred in Victoria and South Australia last week will become run-of-the-mill, Australia wide. Shorten’s looming Labor-Green Alliance is threatening a 50% Renewable Energy Target – the same level of RET lunacy that prevails in South Australia and Victoria. With Labor and the Greens promising to smash up coal-fired power plants – in the same way that Jay Weatherill & Co destroyed the last coal-fired plant in SA – Australians can look forward to many more summers sweltering in the dark. Indeed, as Nick Cater puts it Australians are well on their way to a new round of the Dark Ages. The Coalition’s investment incentives for firm power generation have reversed the muddle-headed policy settings introduced by Labor, which favoured intermittent renewables. The number of expressions of interest already received and the scale and scope of proposed investment are likely to break the hearts of those who insist there is no future for coal. The Coalition’s incentives are certain to be scrapped by an incoming Shorten government that is committed to increasing the incentives to invest in renewables and decreasing investment in firm energy. Labor has tied itself to an unfeasibly large 45 per cent reduction in 2005 emissions by 2030 and a 50 per cent renewable energy target. It has not yet said how many of our remaining 18 coal-fired power stations will close or how it will close a widening reliability gap. Neither have we been told how Labor’s targets will dampen the economy or how many jobs will be lost. Bill Shorten and his climate change and energy spokesman, Mark Butler, want us to believe their renewable energy fantasy will be cost free. They haven’t yet found the courage to say how far electricity prices will rise or how many businesses will go to the wall. Di Natale, to his credit, is at least prepared to admit that the greening of the grid carries a cost. He does not hide from the moral obligation that those who support such policies must be prepared to dip their hands in soapy water. In the war against bad energy policy we have barely reached Dunkirk. It is not even the beginning of the end. But it may be, if wise heads prevail, the end of the beginning. 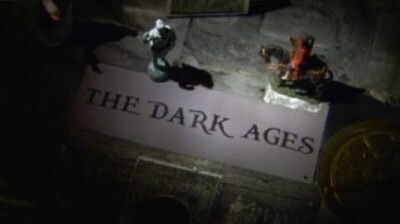 Bill Shorten: guaranteeing a return to the Dark Ages. In Germany, where some “Experts” now have decided that Germany will shut down the last coal-fired power plants at 2038 (The nuclear plants are already off the grid). It is silly, German MSM do not provide news / information about Australia’s worst Experiment with Wind and Solar power. The opposition to the burning of fossil carbon is based upon quite simple consequences of the thermodynamic and chemical properties of carbon dioxide., not to mention the other poisons that both coal furnaces and gas turbines recklessly emit into the atmosphere. But the article is correct to say that solar and wind are worthless. It is time for Australia and the whole world to abandon fosil carbon burning for nuclear fission. Naturally, the fossil carbon industry will lobby and propagandise against this. But they will not succeed in China and Russia. There is a faction of the Left that considers itself Green and is not. They are deluded in various ways, as the Australian government itself is deluded, into believing that every use of nuclear power is a deadly source of epidemic cancer. There are, in the history of civilian nuclear power, three reactor meltdown events that prove this fear is RUBBISH. At Three Mile Island, Pennsylvania, in 1979, there was a reactor meltdown caused by an instrument giving incorrect information, There were NO Casualties. At Fukushima-Daiichi on 11 March 2011 three reactors that had shut down and survived the Tōhoku earthquake, the very worst on record in Japan, lost their backup diesel power to the tsunami. There were NO radiation Casualties. Panic evacuation of thousands of people may be responsible for up to 1600 deaths that occurred among people who were therefore NOT exposed to radiation from the meltdown. At Chernobyl, in April 1986, a reactor of the inferior RBMK design was subjected by upper management to an operation specifically warned against an forbidden in the operations manual. Its reactivity briefly shot up, and it killed itself. 28 heroic emergency workers received fatally intense radioactivity, and the UN SCEAR holds that about 30 deaths to date from thyroid cancer, that should have been prevented by prompt administration of potassium iodide, are from radioactive iodine emissions. We disagree with the statement that this is not about hating fossil fuels. Spend a moment listening to political discourse in this country, the hatred of coal is demoniacal, and suicidal when there is no advocacy for nuclear power, which could replace it. If CO2 was truly an issue, Australia would be building nuclear plants now. No political party will lead on nuclear, and logic and reason have nothing to do with it.